Jason Hartman invites Jessica Rhodes on to the show to talk about how to book better guests and how to be a better guest as well. Jessica is the founder of Interview Connections and has booked some big names in the industry. She talks about how persistence and follow up are key to booking bigger names, how to properly pitch yourself to a podcaster, her latest project with Corey Coates titled The Podcast Producers, and much, much more on today’s show. 1:20 – Jessica has added a lot of value to Jason’s show with the types of guest she’s brought on. 5:30 – There are quite a few podcasters who want fresh people on their show who haven’t done the podcasting circuit yet. 22:20 – Be specific as possible on what you can bring to the table when you’re pitching to a host. 27:10 – There are so many different types of entrepreneurs that you can cater to, so don’t worry about excluding people. 29:30 – Final thoughts? Do not be afraid to start. There’s never a perfect time, so just do it now. 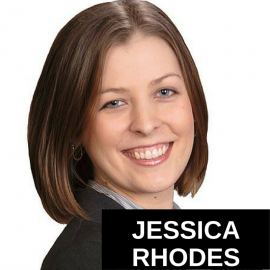 It’s my pleasure to welcome someone who has been a huge contributor to my success and that is Jessica Rhodes, she is the founder of Interview Connections – the premier source for booking oustanding guests for your podcast and I only discovered her last year, but I sure wished I would’ve discovered her sooner, because she is really added a lot of value to my show with her company and her team and what they do in terms of bringing great guests to my show. Jessica, welcome, how are you? I’m doing really well, Jason. Thanks so much for having me on. Well, it’s good to have you. I bet you didn’t know I was going to say all that. I’m really being extremely sincere when I say that. I love what you do, you just do a fantastic job. I think every podcaster should avail themselves of your services, so I do not make a nickle from this interview, folks. I want you to know that. It’s purely information, but tell us, let’s talk about getting good guests for one show. I mean, that’s a big part of podcasting and how do you do it? I mean, let’s kind of dissect this and see if we can crack the code on booking good guests. Yeah, so the first thing I want to start with before I kind of go into how to make sure you have a good guest for your show is to know really clearly what your goal is with the podcast, what kinds of guests do you want to have on, because, as you know Jason, there are podcasts that purely, maybe they only want the biggest names possible, they only want to piggyback on guests who have huge audience and huge followings, okay, in that case, maybe only booking guests who have huge followings is going to be all that you care about and then there are also podcasters who actually, you know, people specifically come to me and says, I’m tired of interviewing people who have already been interviewed, I want people who have never been on a podcast before, so kind of what good means to you is going to change, but I can tell you specifically what mind team looks for when we book guests for our clients and to kind of make sure that they’re going to be a good fit. I generally say looking for someone who has been interviewed before has a little bit of experiencing behind a mic is going to be good, because I mean, Jason, we’re being interviewed here today and my first interview on an internet radio show year and a half ago or so, I was very green and very nervous and probably was not the best guest, you know, I’m confident that my story was great and everything, but as a totally newbie, it was a little bit of a rougher interview, I’m sure, then I am today after being interviewed dozens of times, so kind of searching and making sure people have some interview experience. What I usually do is I just pop up in iTunes and just search their name and see what comes up. It’s not the best search in the world. iTunes won’t have every single interview ever published, but it’s a good place to start to listen and then just to listen to interviews that they’ve done and see how they sound, you know, I am pitched as all podcasters are these days by people who want to be on my podcast, Rhodes to Success, and they’ll say, oh, my client’s great, this is a little bit about them, and I always ask them to send me a link to an interview they’ve done, because, for me, even if they have great content, if they’re not conversational, they’re not going to kind of laugh with me a little bit and if I don’t feel like we’re going to mesh well in a conversation, I know it’s going to be a dry interview, so I always like to kind of hear them and then we look at the, kind of what I mentioned before, we check out their social media and their web presence, because as a podcaster, it is important that you have guests that are willing to tweet about it or share about it on Facebook and that’s not always going to happen and you can’t always expect it to, but it is nice to have guests who are a little bit active online who can kind of add to your community and provide some value to you in the form of sharing so, those are just a couple of things we look for and if they meet some of those criteria, they’re usually pretty good to go. It’s interesting what you started with, because I’m kind of amazed that you get or, at least, you started with it, it must be sort of a big request, that you get requests for people who haven’t done the circuit of a bunch of different podcasts, you know, guests that haven’t been interviewed and I guess podcasters think that will make them stand out if they get guests that are new and fresh and, you know, that’s a pretty good philosophy, but you know, the more famous guests, they’ve all done interviews, right? I mean, elaborate a little more if you would. Yeah, so that request, you know, the specific person I’m thinking of and I’m sure she’s not the only person who kind of likes interviewing people who haven’t been on all their other podcasts before, you know, it’s about the content and the stories they want to share, so at this particular show that I’m thinking about, they want to talk about the startup story, the entrepreneurial journey, they’re startup story for their business and so she feels like she gets fresher interviews from people who don’t have their caned answers. I mean, people that have been interviewed a whole lot, some of the bigger guests who have great experience, they are great guests, because, again, they have that experience, but there is that risk for them sounding rehearsed and sounding a little bit, you know, scripted, and you and I probably, it’s the same story, somebody asks me, oh, how do you come to start Interview Connections, I know the story I go to, I talk about, you know, well, when I was pregnant I wanted to start an at home business, so obviously I worked to make sure I don’t sound scripted and, you know, super rehearsed, but the bottom line is I’ve shared that story dozens and dozens of times, so for someone to share that story for the first time, it’ll sound a little different. So, that’s, you know, a request that comes specifically from some podcasters, so it kind of goes back to, again, what do you want to get out of that interview and do you want just a really fresh story from somebody who isn’t super rehearsed and in the media a lot or do you really want to focus on super high-quality very successful guests who have experience. I don’t think there’s a right or wrong way, but you just need to know what you want in your show. Very interesting points there. Okay, so, I want to make sure we cover in this interview too, Jessica, how to be a good guest and how to get bookings on other people’s shows, but since we’re talking about getting guests for our shows, you know, what else do you want people to know about that and especially in referring back to my sort of opening question which is, how do we actually get them? A lot of these guests, especially if they’re famous, they’re so inundated with requests it’s hard to get their attention, right? Yes and I’m really glad you asked this, because this is, again, something with the popularity of podcasts now and I’m actually seeing this question come a lot in Facebook groups in different forms like how do I ask someone to be on my show and I’ve done videos on my web TV show, Interview Connections TV, so I’d love to talk about it here. You know, the first and foremost thing is you really need to personalize your request. So, just technically speaking just typically how you reach out to somebody, you know, when you look for contact information and, again, this is a little bit more challenging with some of the bigger names that you’re not necessarily going to see an email or contact form or a phone number for bigger guests, they have a lot of that information hidden and you kind of have to be creative and find them on social media and kind of do some ninja work on figuring out on how to get in touch with them, but once you get the opportunity to send them an email and I really like calling people, because usually when I can call them if I see a phone number, I don’t usually give the whole request on the phone, but I can get the best email. Like, I’ll call and say, hi, I’m calling with an interview request for so and so, you know, what’s the best email to send that to, and they’re like, oh, yeah, you want to send it to, Meredith, his assistant. That would never be on the website. So, that’s definitely something, get over your fear of talking to someone on the phone and figure out the best place to get that to and then you have a phone number and a person’s name to follow up with, because the follow up is huge. This is all about the gatekeeper. Now, if you want to be incredibly good at this, you go search Meredith, you cyber stalk her and you find, you know in that example, and you find her Facebook profile, her LinkedIn profile, and oh, she likes dog and she likes traveling to Spain, you know, whatever it is. But you’re making a really good point, Jason, because when I reach out to people, I, you know, in that email I mentioned already making it person, I usually, I like to see where they live. I like to see if they’re in California or if they’re in the North East and I like to do that first sentence of that email I think has to be something personal. Hey, hope your Monday’s going great, hope your week is off to a wonderful start. Hope you’re excited for the weekend. Anything to just make it sound a little bit personally and specific to that day, that season, that person, because a lot of people copy and paste their scripts, which is fine, but you’ve got to tweak it a little bit for the person you’re sending it to, and then you want to be specific about why you are interested in that guest. You know, again, a lot of emails, you know, we’ve had success with all different types of requests. Anywhere from the most general short email to the most specific personalized email, but I think in general, people will be more likely to say, yes and the gatekeeper will be more likely to pass the request on to the decision maker if you say, you know, we’re interested in having you on this show, because we want you to talk about X-Y-Z. People that have written multiple books or they’re interviewed a lot, they’re like, well, why do you want to interview me? I know, Jaime Tardy talks about, you know, she’s been interviewed a whole lot, she’s got, you know, she works at home, she’s got two young kids, so she doesn’t have a whole lot of times and she’s got like 50 shows that want to interview and she keeps saying, I don’t know if I can, like, my story is out there, I’ve told it a million of times, like what about this interview on your show is going to be different than what I’ve already done a thousand times? Yeah, Jaime is great though. She has so much advice on so many things. That’s the key there. If you’re going to email Jaime with the request, be specific. I wouldn’t necessarily email her and say, oh, I want you to share your story. She did a great thing on how to start and manage a mastermind group. So, if you were specific and said, you wanna interview her about specifically this thing, that’s more powerful, right, especially if it’s their latest thing, right? Oh, that’s also huge. You know, Gary Vaynerchuk who, you know, we’ve just had success in booking. We just booked on my show, yeah. Yeah. So, he is someone, he’ll even say this in his videos and on his podcast, you know, he’s all about the hustle and he’s all about the follow up. IS it hard to book him? Oh, you bet it is. You know how many emails I sent following up and getting back in touch before we got that on your calender, it was a lot, you know, so following up is huge, but he totally respects that. That stands out to people when you keep following up and maybe they never reply to your follow ups, but if you keep sending them, you know, I’ve been working on booking Barbara Corcoran on one of my client’s podcasts for pretty much a year. I don’t love to have Barbara by the way, you can book her for me too, yeah. Well, you know, Gale and I are tight. Gale is her assistant and I’m giving secrets, that’s all on Barbara’s website, email Gale, but I do. I use a tool called Boomerang on my gmail and so I’ll say boomerang this if no reply in two days or if it’s someone like Barbara where she’ll say, oh, she’s busy filming Shark Tank for the next two months and then she’s off with family for the summer, follow up in the fall, I will Boomerang that email, so it shows back up in my email on August 31st and I’ll follow up again and I’ll follow up again and I just keep following up, because I am sure by this time I don’t need to do the whole intro to Gale, she has been hearing from me quite a bit and one day I’m determined I will book Barbara Corcoran, because it’s not a no, unless you get a no, it’s not a no. Good old fashioned persistence is a very much respected by people. You now the other thing that is interesting and it harkens back to my days when I was in traditional real estate, now I’m in the investment side of the business, but in tradition real estate, when someone tries to sell their own property, they can’t follow up without appearing desperate, but an agent can and it doesn’t make the seller look desperate. You see what I mean? So, it’s like you can follow up and be really persistence without it appearing like, oh gosh, if you got, you know, Barbara Corcoran, it would be every thing to you if you’re the podcaster doing it yourself, you know, you act as basically a broker of guests and that’s kind of an interesting distinction, yeah. That’s a big reason why I encourage people to use Interview Connections or an assistant or something, because you’re absolutely right, Jason. I think about the most successful, you know, let’s just say successful TV host, you know, do you think Katie Couric is booking her own guests or does she have somebody doing that for her? It also really helps you, like, make you seem more successful or more established than you are, because a lot of big names, they don’t want to be on shows that launched two weeks ago, because who is to say you’re going to stick around for a couple of months? Who is to say you’re ever going to, oh, I just can’t tell you, it’s sad how many interviews they see get recorded and I go back and check and they’re never launched. It’s horrible, but that’s the reality and that’s why a lot of guests know that they’re going to focus on podcast that have been around awhile that have a track record, that they feel confident if I record this, it’s going to be published and I’m not just going to sit on their hard drive, because that does them nothing. Exactly, okay, good. Do you want to transition into being a guest? I mean, I want to make sure I ask you enough about getting guests and that kind of thing, so do you want to say anything else about getting the guest? No, I think we covered a lot. We could go, you know, either direction. We can jump over to being a guest, for sure. Yeah, let’s talk about being a guest, you know, that’s an important part too. You know, do you have like kind of a ratio that you think is sort of ideal, I mean, this is is probably all over the board, so maybe, maybe it can’t be answered of how much someone should be a guest versus interview guests. Is there an ideal mix there? That’s a good question. I don’t have a specific ratio for you, I mean, let’s just say 50/50. I always recommend, I mean, people come in and they’re like, okay, what should I start first, a podcast ore a being a guest, I’m like, ultimately you want to be doing both, because, you know, as you know, Jason, with co-mingling audience, being a guest on each other’s podcasts, I mean, you can, if you have your own podcast, your much more appealing guest, because you have credibility as somebody that produces their own show and knows what it takes to get a podcast out, podcasters respect that. They want to have you on and they know you have an audience of people who like to listen to podcasts, so that’s a great thing. I always recommend people, you know, get your own podcast out there, but do one or the other and ultimately have a goal to be out there getting interviewed and having guests on your show. So, let’s just say 50/50. So, what does it take to be a good guest? I mean, I remember I took a famous media training class many years ago by the instructor was Joel Bauer and it’s not the Joel Bauer that is big on the speaking circuit now, but he was a radio talk show host in LA, very popular in his day, and that was really interesting to learn about media training and how to answer questions and how to ask them and, you know, one of the things they joke about with politicians and the way they’re media trained is it’s like the question is thrown at them and then they just answer a question they wanted to answer. I don’t think people like that too much. We’re not in a Presidential debate. I think you’re right, media training is hugely applicable here. I think to be a great guest, you have to really focus on your verbal communication skills. I’ve talked about this a lot with other podcasters, when you’re getting into podcasting and getting on shows, there’s a lot of focus on kind of the technical aspects and how to grow an audience and how to make it convert into leads and stuff like that, but you really need to focus on your communication skills. You need to work on getting all your crutch words, your ums, your buts, your you knows, just quite honestly, it’s something you’re going to be working on for a long time, but where like, I mean, I don’t want rehearsed to sound like a bad word, but the more rehearsed you are, the more experience you have, the more you know what you are going to talk about, the less you are going to use a lot of those crutch words, because they do, they’re not great words to rely on and to lean on. So, I would be really confident in knowing what interview topics and questions you may get asked, so I always recommend people have some sort of one sheet speaker kit/media kit/press kit, there’s a lot of different words for it, but it’s essentially a document that shows the host, you know, your bio, some of your branding, but here are some things that, you know, suggested speaking topics, some potential interview questions, and then really know what are your talking points around those topics, what would you say if you’re asked a specific questions and then when you answer a question, you don’t want your answer to be too short or too long, there’s kind of a happy medium, you know, I was just talking with coaching client a couple of weeks ago about this, you know, we were kind of rehearsing and I asked him a question and he answered it and he answered it and period. I’m like, okay, okay, I’m going to ask another question now, so you want to end your answer in a way that kind of creates a follow up question in the mind of the host. Right. Absolutely. Very good point, very good point. So, how about getting on to other shows? I mean, we talked a little bit about being a good guest, but what is it take to put yourself out there and to be granted interviews. You talked about being a podcaster is helpful, because that gives you credibility and they know there’s a mutual exchange of guests and occasionally what I’ve done is I’ll be interviewed on someone else’s show and if I like the interview, sometimes I’ll actually run it on my own show. So, that show host just got huge double whammy exposure, which is kind of a neat thing from them and I’m sure they appreciate it, I hope they do, but what else about, you know, getting chosen, I mean, how hard is it to get chosen, and I think this question is addressed mostly to the newer people who don’t have a brand name yet, a personal brand. I think it’s more common for podcasters to book their own guests for their own show. Here, getting books on other shows is where I really, really recommend you use something like Interview Connects, a broker, a connector or a virtual assistant or something, you want to have somebody pitching you, because I mean, you will get to a point where people are request you to be on your show, but I honestly say for people that want to start getting interviewed, you have to pitch yourself. You have to put yourself out there and make it known, because there are so many podcasts out there. There are so many podcasters who need guests and would love to get pitched because it makes their job easy. They’re like, oh, great, this guest just fell into my lap and they look perfect, awesome. They are a couple that don’t like getting pitched, but don’t let that deter you, because not everyone feels the same way, but there are so – I’ve built a whole business around doing this, so I know there are so, so many podcasters who want to get pitched, so you do have to start doing that. Once you get interviewed a lot, my client Jolene Moody is a prefect example of this, you know, she had been interviewed on a podcast before, but she’s a speaker, she’s been on some teleseminars and things like that and she thought, wow, getting interviewed on podcasts is a great way for me to still be speaking, but not be traveling around the country to different events. So, we booked her, you know, for several months and then I started seeing her on other shows and I thought, I didn’t book you on that and she goes, yeah, I guess it was a connection that was made through the other podcasters that I had booked her on. So, it’s kind of a domino effect. Once you start, you know, get going, once you start appearing, people are going to start seeing your name, they’re going to hear you, they’re going to start requesting you. I mean, we can talk about how to pitch yourself, but I just really recommend you find a professional. I mean, we at Interview Connections, this is what we do, I don’t want to sound pitchy, but we know exactly how to reach out to podcasters and pitch you. I don’t know if you want to get into that, I can talk about it how to pitch yourself. Yeah, oh definitely. Definitely. That was kind of my next category of questions. How do we pitch ourselves and of course when a third party does it, it has way more credibility. But you can definitely do it yourself, so we already talked a little bit about the importance of having a once sheet or a media kit. I think this is not just important, it’s vital if you want to go out and pitch yourself and you don’t already have a brand like someone like you Jason, you go to HartmanMedia.com, you got to JasonHartman.com and it is pretty clear right away you’re pretty successful guy, you’ve been interviewed a lot, it’s usually a no-brain for people to want to request you or book you on their show, but again, if you’re in the party of kind of being a little bit newer, not kind of having that big successful brand online, you want to have a one sheet, a media kit, something that summarizes you as a guest. Again, what speaking topics you can talk about and knowing, you have to know one thing, you have to know what makes you different from everyone else out there. Do not email, if you’re in marketing, if you’re in internet marketing, don’t email an internet marketing podcast and tell them you’re an expert in internet marketing. You’ve got to narrow it down and be specific and then most importantly, be specific to that podcast and I’ll just give a little tip here. When you find a show on iTunes that you think is a good fit for you and you’d like to be on, read the description they have on iTunes. Read how they describe their own show. Usually they’re going to say, we interviewed guests like or we interview speakers and authors. They’ll be specific about what their show is, they’ll will probably right something this show is for and they’ll talk about the types of listeners they’re attracting. You can take that information and put it into your pitch, because ultimately when a podcaster is pitched, they are going to read that pitch thinking is this going to be of value to my listeners, are my listeners are going to want to listen to this interview, is it something that they’re going to like? So, if you can answer that question in that pitch, you’re 5 steps ahead. I literally train my team to write, this guest would be a great person to interview, because your listeners would get this kind of value from it. So, really just answering that question and then also I want to recommend that people follow and befriend podcasters that they want to connect with or social media, because you can get a lot of valuable information. Tim Paige is the host of ConversionCast and if you’re friend’s with him on Facebook, he posts a lot about, you know, his experiences on his podcast, he wrote, he wrote a status that said, just a note, if you’re interviewed on a podcast and you give the host a free copy of your product or your book or your service, I’m going to promote you way more. So, now, when we reach out to Tim and recommend a guest for him, we let our client, we let our guest know, hey, listen, we recommend you give him a free copy of your book or your product, because he’s going to want to promote you more. So, you can learn, like, valuable Intel that will make your pitches more successful and make you a better guest and have a better experience with that podcaster. Good points, good points. Tim’s show is excellent. I mean, I really enjoy that one. I haven’t listened to it much lately, but boy, it’s good. It kind of leads to maybe an area of questioning I’d like to ask you before we go, but it’s just how does a podcaster define their market, define their show, this is a whole another hour conversation, but just any tips on that, because I’m sure and the reason I ask, Jessica, is because I’m sure you have people come to you and, you know, they’re kind of directionless, you’ve got, you know, new podcasters and experienced, both, but maybe they’re kind of searching for what they should be doing and how they should define themselves and their show and this applies to booking them as a guest too. Some are very good at defining this and others are very bad at it. I mean, the bottom line is and this is kind of the lesson we all get as entrepreneurs is you have to have that avatar. You have to have that target market and be really clear on it. A lot of people are afraid of leaving anyone out. Well, I attract men and women between this age, but I don’t want to just say men and I don’t want to say just say women or I don’t want to just say, because then I’ll leave other people out and they won’t listen. You want to have a really, really specific idea of who you’re targeting, why you’re targeting them, and speak directly to them. Like I mentioned, I do videos and as soon as I really got clear around who my avatar is, I speak directly to that person in the camera and it allows me to be more personable and more engaging and that’s the same thing for a podcaster when you’re behind the microphone and you’re interviewing people, when you’re being interviewed, you need to know who that person is that you want to speak to and you just need to stay clear with that. People will still listener if they’re not that avatar, they will, because they’re going to find other reasons why they like your show, they like the way you talk, they like your content, they get some valuable information from it, but you have to know who that is and you have to stick to that and don’t be afraid you’re going to leave people out, because that’s when you get into this general idea of having the general business show where I interview all entrepreneurs. Period. You’ve got to be specific about who you’re talking to. What categories of entrepreneur, right? So, the example there might be startups, it might be experienced, it might be mid-size companies, it might be large companies in the tech industry, it might be in the, you know, whatever industry, a certain vertical. There’s a lot of ways to segment these things, aren’t there? Yeah, absolutely. Yeah, you definitely have to narrow down. I mean, there’s so many entrepreneur shows and there’s a lot of kinds of entrepreneurs out there. There’s people like me who are stay at homes creating a lifestyle business and then there are single 35 year old men who want to live on the beach. We have very, we’re both entrepreneur, but we have very different experiences and are going to resonate with difference kinds of podcasts. So, you have to know who you’re talking to. Okay, guys, I think she just suggested that men grow up very slowly. You’re all living on the beach and I’m not. No, I’m just kidding. I have 5ft of snow out my window, so I’m a little jealous of those living by the beach. God, good stuff. Jessica give out your website. Do you have a Twitter account or anything you want to mention where people can follow you? Yeah, I love connecting with people on Twitter. It’s @JessRhodesESS and I talked a little bit about my web TV, so InterviewConnections.TV is where you can see some of my videos. Tell us about this cool new show that you’re doing with Corey from Podfly. Yes! So, thank you. It’s called The Podcast Producers and it’s kind of like a documentary about podcasting. We are doing a 10 episode series launching on April 6th and I don’t have the URL handy, but we’ll make sure, if we can get it into your links after this show goes live, we will, but it’s going to be amazing. We’re interviewing dozens of people on podcasting and it will be kind of a story telling documentary style show and we’re just really, really excited about it. So, just follow me on Twitter or friend me on Facebook or find Corey Coates, Podfly online and you’ll definitely see links and stuff when we’re promoting it. That’s a great idea and it’s going to be a great show that you and Corey are doing. I can’t wait to see it, because it’s going to be really awesome. That’s a super project. Yes, and you will be on it. We’re recording tomorrow, so ya’ll can hear Jason on it too. Good, good stuff. Well any closing thought that you want to mention for podcasters beginning or experienced? You know, my big message recently that’s been resonating with folks is to just start. There is no perfect time. You don’t want to wait till, oh, I need to have all my stuff together just get out there and start even if you’re green, even if your website is a mess, just get on some shows and just get going, because it does get easier and you get better at it as you go. So, just start is what I say. Very good advice. Very good advice. The journey of a thousand miles begins with a single step. 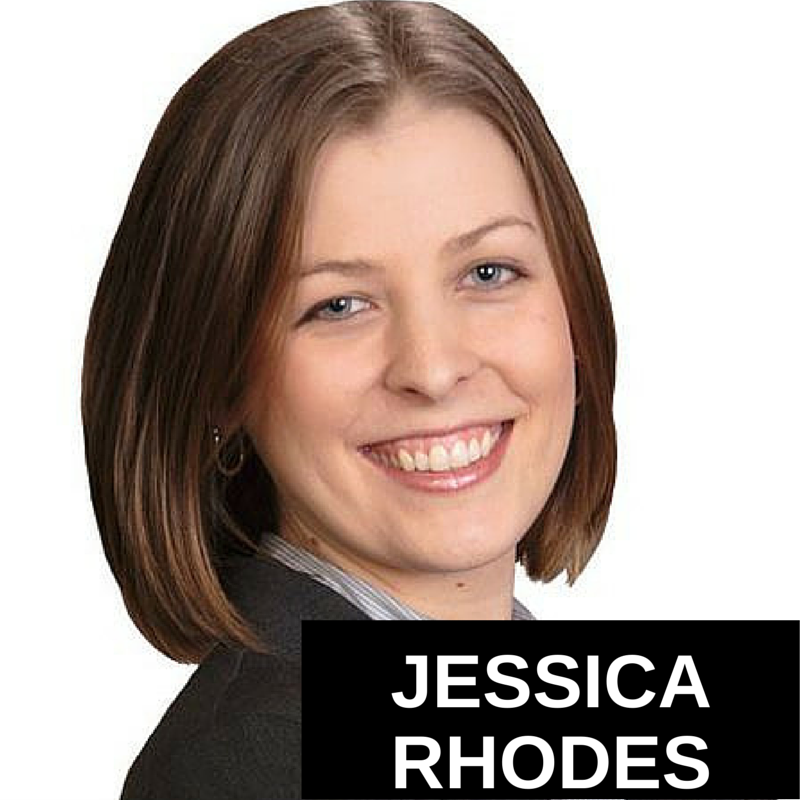 Jessica Rhodes, thank you so much for joining us.